In the aftermath of an alien invasion, a family lives a life of silence in order to stay alive. Every once in a while a movie comes along with a premise so simple, yet so high concept, that it makes you wonder why it took so long for a filmmaker to stumble upon it. Actor John Krasinski's third film as director, A Quiet Place, boasts arguably the hook of the year, an entry point that allows for a truly cinematic piece of storytelling. In the near future, our planet has been invaded by aliens, forcing the last remnants of humanity to go underground, having figured out, presumably at great cost, that the aliens are blind and can only react to sound. Keep your mouth shut and tread softly and you'll be fine. A year or so after the invasion, the Abbott family - parents Evelyn (Krasinski's real life wife Emily Blunt) and Lee (Krasinski), and children Regan (Millicent Simmonds) and Marcus (Noah Jupe) - lives in a remote farmhouse surrounded by cornfields (perhaps a nod to the likely influence of M. Night Shyamalan's Signs on Krasinski's film). Regan is deaf, which has proved a blessing in disguise, giving the Abbotts the advantage of their fluency in sign language, which allows them to converse safely. Evelyn and Lee have taken seemingly every precaution to keep their children safe, coming up with novel ways to avoid making noise, and laying soft dirt on the paths out of their home in order to walk without making a noise. However, Evelyn is pregnant, mere days away from going into labour - and we all know how noisy babies are. At a tightly wound 95 minutes, there isn't an ounce of fat on Krasinski's film, which he co-wrote with Scott Beck and Bryan Woods, the filmmaking duo behind 2015 found footage thriller Impulse. Rather than any opening crawl or voiceover explaining the circumstances that led to the situation the Abbotts find themselves in, Krasinski simply opens his film with a title card that reads 'Day 89', allowing us to fill in the details with our own imaginations. 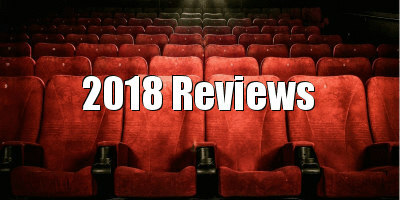 It's a film that's commendably devoid of exposition, as it sticks for the most part to its conceit of silence, only a couple of quietly spoken dialogue scenes and brief subtitled sign language exchanges breaking the otherwise visual storytelling. There are no flashbacks to the days before the invasion, no crude monologues attempting to build character backstories. All we know about the Abbotts is that they're doing their best to survive, and that's enough to get us behind their attempts to do so. When it comes to threatening situations in horror movies, I've always found those scenarios that rely on the protagonist making a mistake to place themselves in danger - rather than simply being overpowered by some superhuman villain - most effective. It's why shambling zombies are creepier than those that possess the athletic prowess of Usain Bolt - you should be able to keep out of their way, but you just know somewhere along the way you'll screw up and get chomped on. A Quiet Place is one of the most explicit examples of this concept, making us ponder how well we could survive in a scenario that required us to keep silent. It sounds simple enough, but as the nail-biting set-pieces of Krasinski's film prove, things never quite work out so conveniently. The littlest, most innocuous of objects in the Abbotts' home have the power to spell their downfall. Movies directed by actors tend to fall into two visual categories, either filmed plays that betray a lack of interest in visual technique or overly stylised dramas that prove the actor in question doesn't really understand why certain images work. Krasinski avoids both pitfalls, proving himself a natural when it comes to choosing the right place to put his camera to mine the maximum suspense and tension. His work here is evocative of Spielberg and Carpenter - imagine that unbearably tense scene in Tim Robbins' basement in War of the Worlds mixed with the siege scenarios of Assault on Precinct 13 and the final reel of Halloween - and he appears to have learnt from Hitchcock in how he hard wires potential future catastrophes into our brain by having his camera linger on small details, like the nail sticking precariously out of a wooden step in the Abbotts' basement. I appreciate a well rendered subtext as much as anyone, but with the likes of Get Out and The Shape of Water winning plaudits, it's a refreshing change to see a mainstream genre movie whose sole focus is on keeping its audience entertained - it would take one hell of a thinkpiece writer to mine a political allegory out of this one. 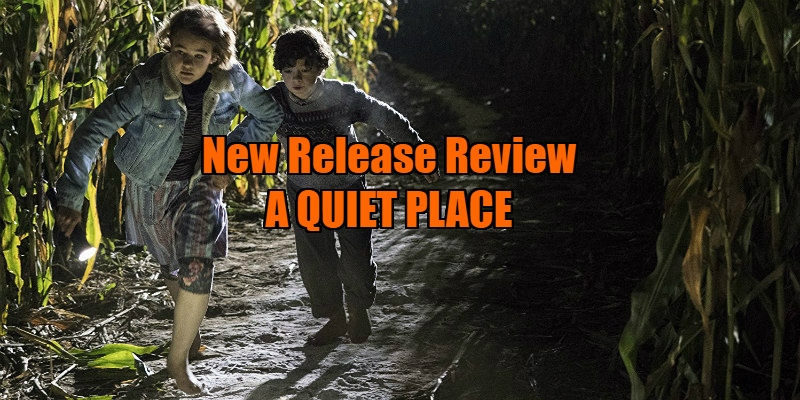 A Quiet Place may be headlined by one of Hollywood's biggest stars, but it's a b-movie of the best kind, one that gets into its advertised premise quickly, does its job of inching the viewer closer and closer to the edge of their seat, and gets out without a fuss, leaving us thirsty for more adventures in its world, and more from its talented director. A Quiet Place is in UK/ROI cinemas April 2nd.